Three-row crossovers make a lot of sense for active families, and few are as entertaining to drive as the 2018 Mazda CX-9. 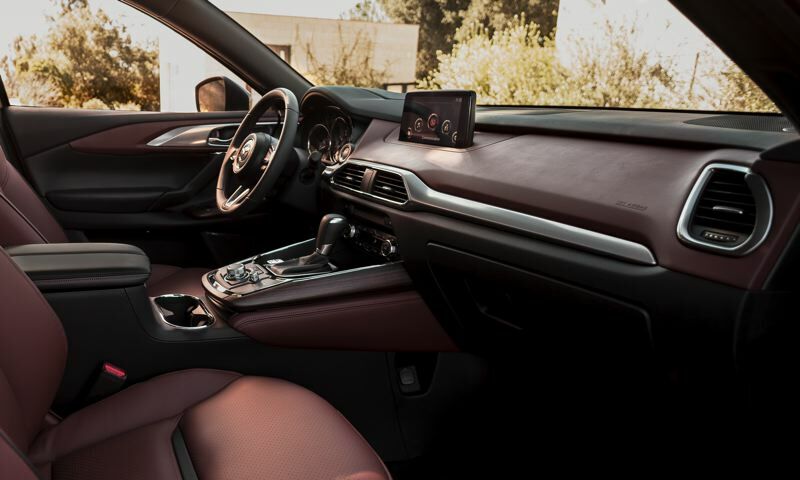 The 2018 Mazda CX-9 is so nimble, it's easy for drivers to forget how large it is. Mazda's largest crossover is a midsize SUV with three rows of seats that can can actually carry seven adults in comfort. But, thanks to a punchy turbocharged 2.5-liter four cylinder engine and a well tuned suspension, it drives like a smaller vehicle. In a week of daily driving, I was occassionally surprised by how much I needed the back up camera to park in spaces I thought were easily large enough for it. Thankfully, the turning radius is small enough that I could always squeeze into them. Several other three-row crossover are also light on their feet, but they are shorter and their last row of seats are ony for children. The CX-9 actually competes well against full size SUVs, which drive more like trucks. Mazda has built a reputation over the years for fun to drive economy cars. While their mileage was as good as comparable vehicles from other manufactures, those from Mazda felt sportier on the road, which justfied its previous "Zoom-Zoom" marketing slogan. Mazda's slogan today is "Driving Matters," which seems much more serious. But the fun is still there, especially in the two-seater Miata sports cars, but continuing up through the car and crossover lines. 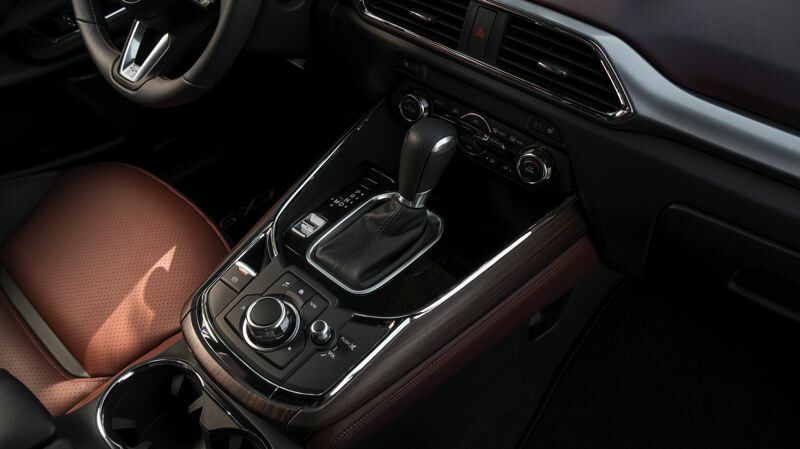 Engineering it into the CX-9 is an accomplishment that should be applauded. 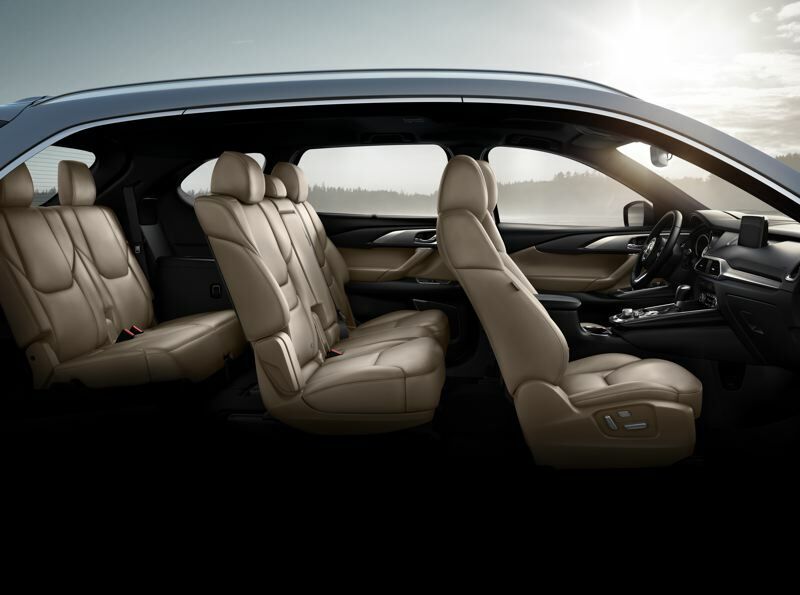 The CX-9 is also one of the most beautiful crossovers on the market. Mazda has coined the term "KODO: Soul of Motion" for the design philosophy of all its vehciles in recent years. It employs a stunning mix of sharp creases and sweeping curves on the bodies that turn them all into works of art. 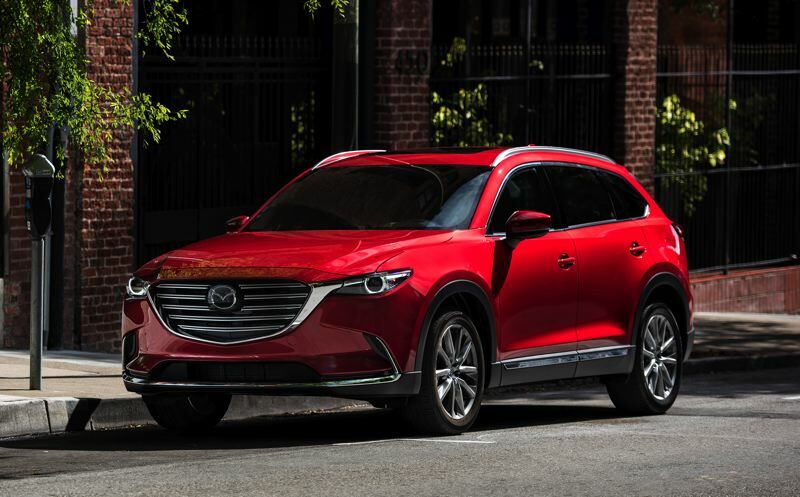 While a lot of other SUVs are looking too much alike, the CX-9 stand out — and so does Mazda's subcompact CX-3 and company CX-9. The interior design is also refreshing. It is clean, simply and yet very contemporary, and can be ordered with high-grade materials that impart a true luxury feel at an affordable price for such a large, well-engineered vehicle. Mazda only made a few changes to the CX-9 this year. Most notably, low-speed automated emergency braking, blind-spot monitoring, and rear cross-traffic alert are now standard across the lineup. And the company's G-Vectoring Control system which system, which engine torque slightly as the vehicle enters a corner to help improve stability, is also standard. Our test model was a well-equipped Grand Touring version with optional all-wheel-drive and a load of comfort, convenience, luxury and safety features, including a leather interior, 8-inch display screen, and a Bose 12-speaker stereo system. Even with all that, the proce was under $44,000, which is a bargain these days. Three-row crossovers make a lot of sense for active families, and few are as entertaining to drive as the 2018 Mazda CX-9. Those considering such a vehicle should put it at the top of their shopping list.